Before you step foot into the office of a mortgage lender, you need to make sure your credit is in the best possible shape. 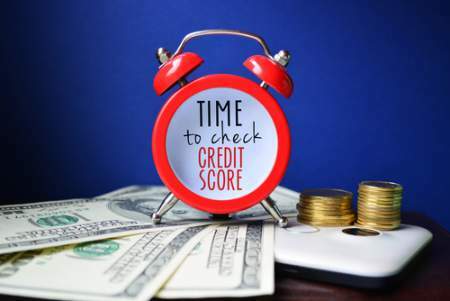 Your credit report will be carefully examined to ensure you have the financial ability to repay a loan. Federal law allows you to receive one free credit report a year from the top three reporting agencies: TransUnion, Equifax, and Experian. Take advantage of this free report and go over the details with a fine-tooth comb. Check for errors and delinquent accounts. Errors should be reported to the agency immediately, and you should try to settle any delinquent accounts as soon as you are able. Your credit report shows more than just your credit score to a potential lender. Your income to debt ratio is also an important piece of your credit report. Every time you make a large purchase, whether it be a vehicle or expensive piece of jewelry, your income to debt ratio is adjusted. You want your income amount to be substantially higher than your debt amount. So, avoid making any significant investments in the time before, and during, the home buying process. Changing careers during this period is also not recommended. Having a stable work history shows a lender that you can maintain a reliable source of income over an extended period. 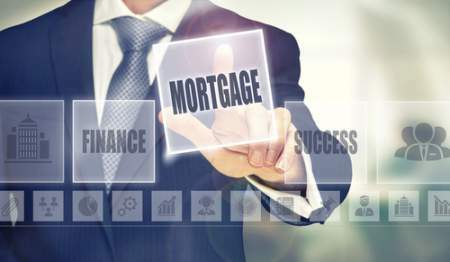 A home mortgage loan does not cover all the expenses that come along with purchasing a home. Your lender will likely require you to have money ready to cover a down payment (typically around 20 percent of the selling price). Some banks offer reduced or no down payment programs. Those programs will have higher interest rates and require a longer repayment period, so be sure to weigh your options before deciding which route is right for you. In addition to a down payment, you may be required to pay out of pocket to cover closing costs (around 2 to 8 percent of the selling price). Unless the seller agrees to cover these expenses in your purchase contract, you will be responsible for closing costs. No two home mortgage loans are the same. Take some time to research each potential loan carefully before you choose which option you want. Some loans have a fixed mortgage rate, and some have a variable mortgage rate. A fixed rate means that your monthly payments will remain the same for the length of your loan because the interest rate stays at a fixed rate. A variable rate means that the interest adjusts with the housing market and could increase, or decrease, your monthly payment amounts as time goes on. Your real estate agent will be able to go over these types of loans with you during your research time. When choosing between home loans, you’ll want to consider what is more important to you: paying off your home quickly or having smaller monthly payments? Lenders will have loan options with different life spans (typically ten, fifteen, or thirty years). Choosing a shorter life span means that your monthly payments will be higher, but you’ll reach the end of having to make payments at a faster rate. Some loans do have early payoff penalties tucked away inside the terms, so read over every contract carefully before you sign. Don’t be afraid to stay informed and ask questions about things you don’t understand. You are not obligated to use your personal bank for a home mortgage loan. You may find much better lending terms from another source. Look around and see which banks and lenders in your area can offer you the best deal to meet your needs. Take some time to compare each offer carefully before deciding on your final choice.